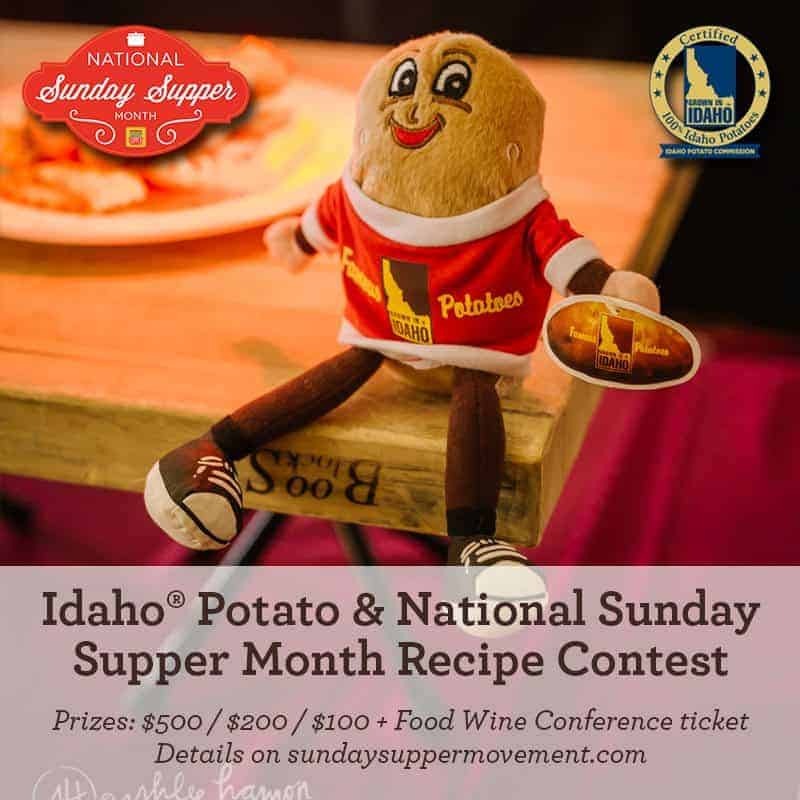 Sunday Supper is kicking off the New Year with designating January as National Sunday Supper Month! For the event, I am sharing a recipe for Spinach Spätzli with Sage and Speck. Spätzli comes from the regions of Trentino-Alto Adige (Südtirol) in northern Italy as the cuisine has been influenced by their Austrian neighbor’s Spätzle. I can’t believe it has taken me this long to discover/make the spinach variation (there is also a deep pink spätzli that incorporates beets). This winter dish pairs the Spinach Spätzli with butter, sage, and speck. Fresh spinach is quickly blanched, then processed with eggs and flour to make a smooth dough. It is pressed through a spätzle maker to make small dumplings. I just love the bright green color. The dumplings are tossed with melted butter, sage, and thin ribbons of speck. For me, 2 pounds of fresh spinach was 4 smallish bunches. To squeeze the excess moisture out of the spinach, I have been using a potato ricer. You can also place the spinach in a clean kitchen towel and wring the water out. I used this Stainless Steel Spaetzle Maker to make the spätzli. A large-holed colander and wooden spoon to push the dough through will work too. If the dough is too thick to be pushed through the press, thin it with 1 teaspoon of water at a time. I have also seen recipes that serve the spätzli with a cream sauce. Evan enjoys them with tomato sauce. Speck (Südtiroler Speck) is a dry-cured, lightly smoked ham that originated in Alto Adige and is now under Protected Geographical Indication status. It is often used in northern Italian, German, and Austrian cuisine. The exterior is darker in appearance due to the smoking process and spice blend with juniper. You can find it in some larger grocery stores (locally I have found it in the deli section of Wegmans) that feature imported Italian products or in Italian specialty stores. It is also available online at locations such as Formaggio Kitchen. If you are unable to locate it, substitute with a fatty prosciutto or Black Forest bacon (I have seen this at Whole Foods and Trader Joe’s), though the flavor won’t be exactly the same. Bring a large pot of salted water to a boil. Place a large bowl of ice water next to the pot. Once the water is boiling, add the spinach. Cook until wilted, about 2 minutes. Use tongs to immediately remove the spinach from the boiling water and into the bowl of ice water. Once cool enough to handle, drain and squeeze well of excess moisture. Transfer to a food processor. Add the eggs, nutmeg, and salt, then process until finely chopped. Pour in the flour and continue to process until thickened and smooth. Transfer the batter to a bowl and cover with plastic wrap. Allow to rest for 30 minutes. Line a large baking sheet with parchment. Fill the large pot with salted water again and bring to a boil over medium high heat. Place some of the dough into a spätzle press or colander with large holes and press into the simmering water. Remove using a strainer and transfer to the prepared baking sheet in as much of a single layer as possible. Repeat with remaining batches of dough. Allow to cool while you prepare the sauce. In a large pan, heat the butter and sage over medium heat. Once the butter has melted, add the speck, tossing to coat. Heat through and remove from heat. Toss in the cooked spätzli and season with salt and pepper. Serve immediately topped with Parmigiano-Reggiano cheese. Wow this is a fabulous dish I bet the flavor is out of this world! Happy Sunday! After making spatzel using the board scraping method for years, we finally bought a spatzel press, and I can’t wait to use it. I think this will be our inaugural batch! I never would have thought to make spinach or beer spatzli! Very festive! What a fun version of spaetzle! I actually have a plain version that I’m sharing this week—and I’ve also made Dorie Greenspan’s herbed spaetzle. Your vibrant spinach spatzli looks wonderful! What pretty color! What a lovely dish! So fun! I’d love to see the beet version, too. This looks great and it is a very interesting recipe. I have never made spätzli or cooked with speck but they are both on my ‘must try’ list now! How beautiful! The buttery sauce with the speck and fresh sage must have been wonderful on your homemade spätzli.